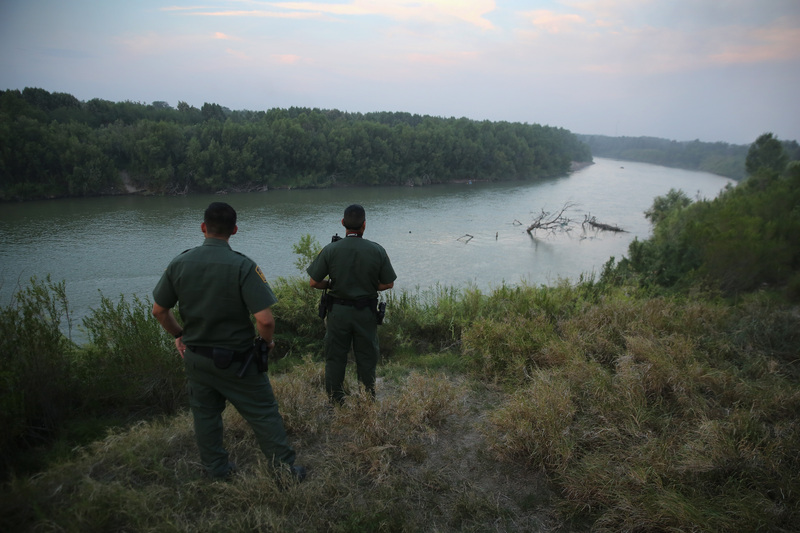 The number of unaccompanied children from Central America arriving at the southern border has declined significantly from 2014, the head of the agency charged with caring for the children once they arrive in the U.S. told members of Congress Tuesday. The decline follows a surge during 2014 during which tens of thousands of children from Honduras, Guatemala, El Salvador and Mexico sought to enter the U.S. along the southern border. While children from Mexico who are apprehended at the border can be immediately sent back, any child from a country other than Mexico and Canada is guaranteed a hearing in front of an immigration judge before they can be deported. In FY 2014, the Department of Homeland Security (DHS) referred 57,496 children to the agency within the Department of Health and Human Services (HHS) that cares for children once they are apprehended at the border. A full third of that number came during May and June of 2014, the early summer months, before arrival numbers began to fall in July. During the first eight months of FY 2015, DHS referred fewer than 18,000 unaccompanied children to HHS, said Mark Greenberg, the Acting Assistant Secretary for Children and Families. Greenburg, who was testifying before the Senate Homeland Security Committee, said the decline is due to an "aggressive, coordinated, multi-agency response to provide humanitarian care for unaccompanied children while also improving foreign government cooperation, increasing border security, and providing assistance to governments in Central American countries to curb the flow of unaccompanied children." The number of arrivals in May, for example, was down by more than 60 percent. Just 3,350 children were referred to HHS in May 2015 compared to 9,431 in May 2014. There are currently 4,000 children in HHS care. "While I am confident that we will not see a repeat of last year's unprecedented numbers, we are better prepared than ever before to deal with the arrival of unaccompanied children along the southern border," said Philip Miller, the Assistant Director of Field Operations, Enforcement and Removal Operations for U.S. Immigration and Customs Enforcement. Greenberg testified that 90 percent of children who were released from shelters since last October have been released to a parent, relative or other sponsor while awaiting their hearing before a judge. The remaining 10 percent were either sent back to DHS custody because they reached the age of 18, were sent back to their home countries, or placed in the Unaccompanied Refugee Minor program. The agency will release children to relatives who are not in the country legally, Greenberg said. The influx of children has put a great deal of stress on the immigration court system, which had a backlog of 449,569 cases as of May 26. Juan Osuna, the director of the Justice Department's Executive Office of Immigration review, testified that the backlog is due in part to budget cuts which left the agency unable to hire judges to replace those who left the agency or staff new positions to expand its capacity. New congressional funding in FY 2015 is helping to reduce that backlog, he said. In 5,453 cases, judges ordered an unaccompanied child removed for failing to show up at an immigration hearing. In 10,591 cases that were closed between late July 2014 and late May 2015, 6,248 children were ordered removed from the U.S. In FY 2014, about 10 percent of the more than 73,000 unaccompanied children apprehended at the southern border filed for asylum in the U.S. Through the end of May 2015, just 2 percent of the nearly 23,000 unaccompanied children apprehended applied for asylum. U.S. Citizenship and Immigration services have approved 41.6 percent of asylum requests filed between October 2013 and September 2014, according to Joseph E. Langlois, the associate director for refugee, asylum, and international operations at the agency. The officials testifying each had something different to say when asked what Congress could do to help continue reducing the number of unaccompanied minors apprehended at the border. Langlois, from USCIS, said it would be helpful to build a system where children could file for asylum and seek sanctuary closer to their home countries. Miller from Immigration and Customs Enforcement asked that Congress support President Obama's request for contingency funding that would have poured more money into operations at the southern border. "The department had to reprogram hundreds of millions of dollars and take away from other functions to accomplish our mission. I think with contingency funding in our 2016 budget, we would have flexibility to not only deal with unaccompanied children, but any other unforeseen crises on the border," he said. Greenberg, the HHS official, said he wanted to highlight efforts to make the legal process efficient and to expand legal representation for unaccompanied minors. Osuna asked Congress to support Mr. Obama's request for more funding for the immigration court system.